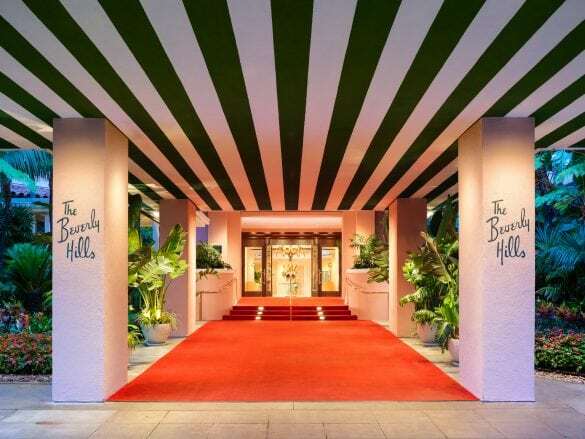 The Beverly Hills Hotel & Bungalows is the place to see and be seen. 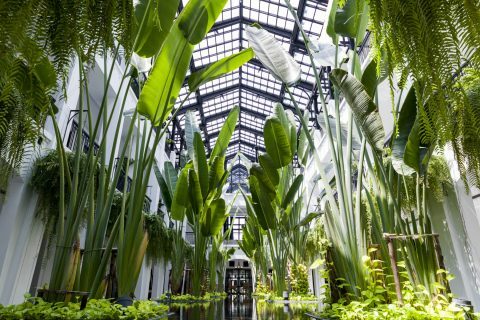 Built in 1912, this hotel is as iconic as the banana-leaf printed walls. 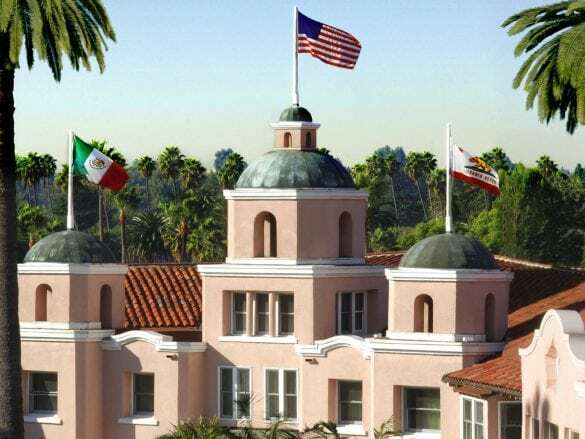 The “Pink Palace” has a rich history of star-studded guests, like Elizabeth Taylor, Marilyn Monroe, and John Lennon, and it continues to be a Hollywood hotspot today. The classic, Old Hollywood feel. The moment you walk down the red carpet entrance leading to the front doors, you know you’ve arrived in Beverly Hills. And the service! You don’t have to be a VIP to feel like a VIP. From the concierge who will go above and beyond with recommendations to poolside waiter who will learn your name, the entire staff will make sure all your needs are met. Relaxing by the pool. What better way to soak up the California sun!? 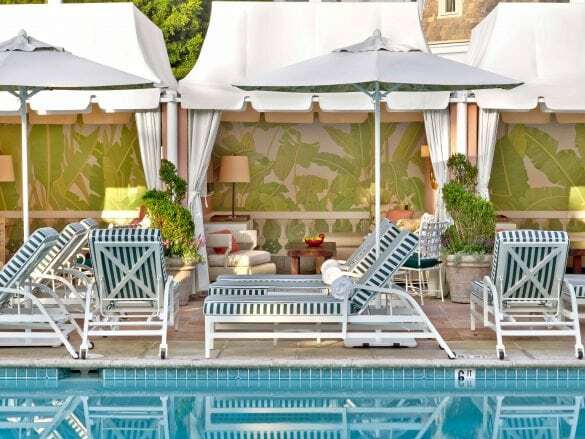 If you’re looking for shade, one of the poolside cabanas is the perfect place to be! 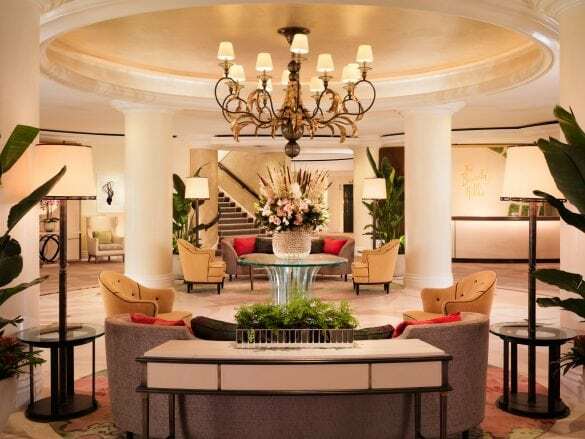 There are three dining outlets at The Beverly Hills Hotel (and since we are a Dorchester Diamond Club member, you receive complimentary breakfast daily that you can enjoy in these charming restaurants, or in the comfort of your room!). 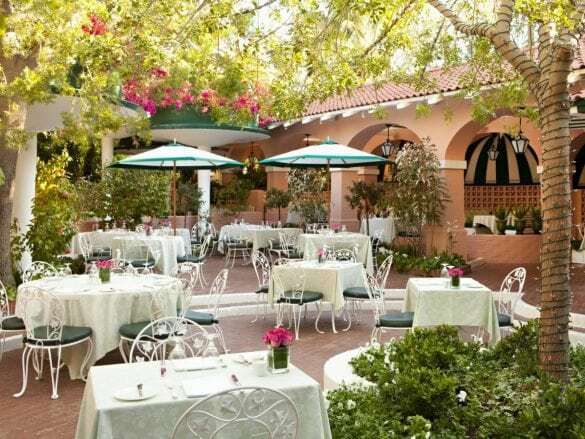 A favorite of Hollywood stars and dealmakers for decades, the Polo Lounge serves breakfast, lunch, afternoon tea, and dinner. For poolside dining, The Cabana Cafe is a casual yet chic spot to enjoy an al fresco breakfast or lunch. Inside, the vintage Fountain Coffee Room serves breakfast all day – hello, afternoon silver dollar pancakes! 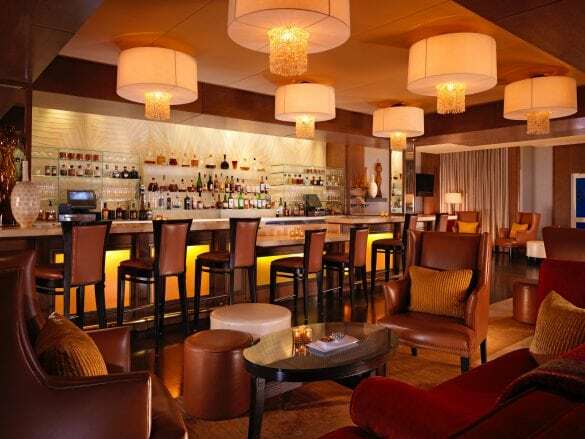 And toast to the end of your day at Bar Nineteen12, aptly named after the year the hotel opened. For a true Hollywood indulgence, spend time in the spa. 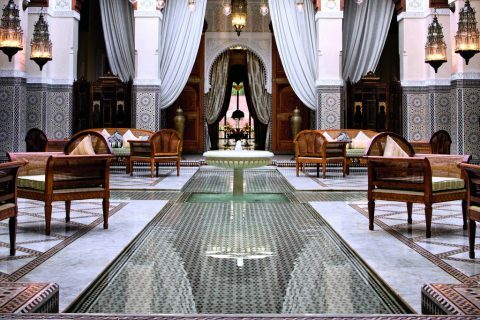 Enjoy a complimentary yoga class (offered every Saturday) or pamper yourself with a relaxing spa treatment. 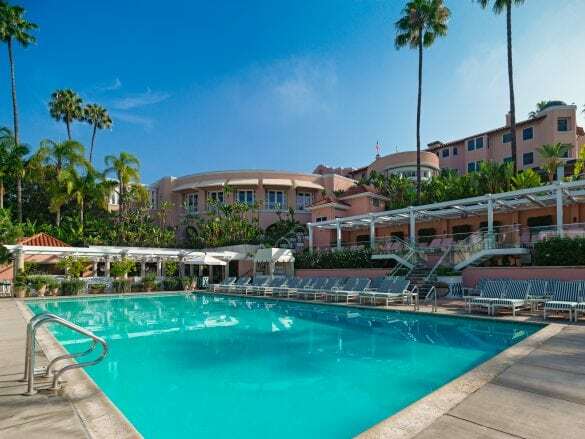 The Beverly Hills Hotel is located on 12 acres of lush gardens on Sunset Boulevard. 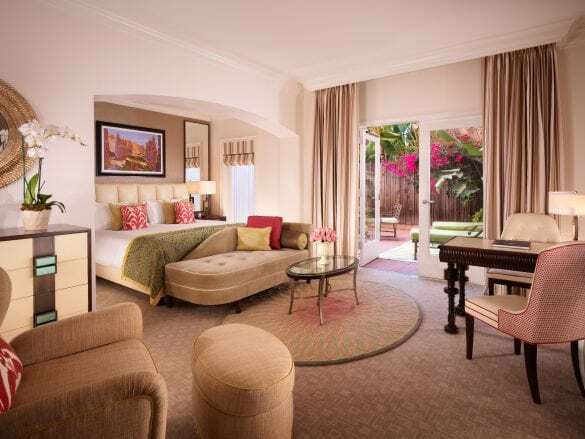 You can easily get to Melrose Avenue and Rodeo Drive, and the hotel’s complimentary house car will take you anywhere within a three-mile radius, including its sister property Hotel Bel-Air. Fly into LAX and take a cab or Uber to the hotel. Your Brownell Advisor can also arrange a private transfer. Be sure to listen to the live jazz at the Polo Lounge during Sunday brunch – you’ll feel like you’re stepping back in time.